During November I rented a cottage for a week on Dartmoor and spent some time taking photos and collecting material for future work. The location was perfect and and the accommodation (see links below) provided everything I needed in the way of comfort and facilities. 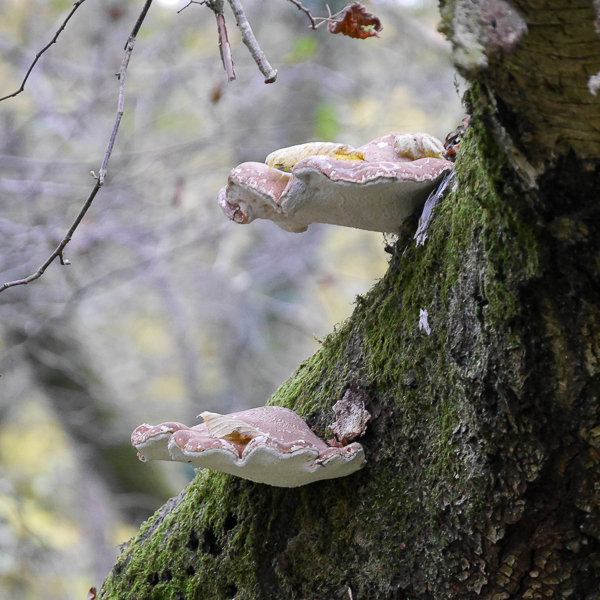 Having fifty acres of private woodland on the doorstep was a welcome bonus, and the first couple of days were spent exploring the immediate area and enjoying the local wildlife. One of the things we discovered on our first walk was an abundance of spindle trees growing along the valley. During the 2011 excavation of Dartmoor’s Whitehorse Hill burial cist two pairs of spindle wood studs were found among the grave goods, so the tree has a historic association with the moor. 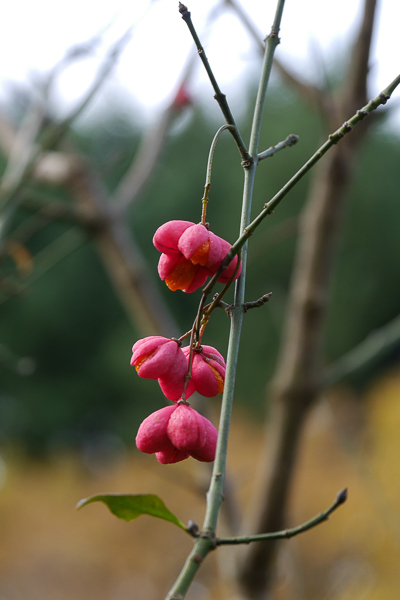 It’s the first time I can remember coming across spindle in the Devon countryside, but at this time of year it’s hard to miss whereas in summer I might well have passed by without registering its presence. Fingle Woods is an 825 acre ancient woodland site located in the Teign Valley on the northern fringes of Dartmoor. The Woodland Trust and National Trust bought the woods in partnership in 2013 and the woodland is now undergoing extensive restoration. Gradual thinning out of the conifers will allow the native woodland to regenerate and as the broadleaf habitat increases, the right environments will be created for other species to thrive. Public access has already been improved and a network of new footpaths is being created. Recording the progress of the work is an important aspect of the project and during my stay I was able to accompany my son while he filmed some of the changes which have taken place over the past twelve months. Over the past summer a forest track has been re-routed and upgraded to allow for the extraction of the felled softwood timber and Tom’s first task was to film it from above. The aerial footage will make it easy to monitor the greening up of the disturbed area which is already recovering well. Flight number two took place in another part of the woods, where conifer felling and volunteer clearance work has begun to uncover the remnants of an ancient field boundary. The buildings at Clifford Barton are just visible in the distance to the left of the photo, in the ‘V’ of the two hillsides.